We usually don’t post corporate street ads like this, but this one is too creative to pass up. 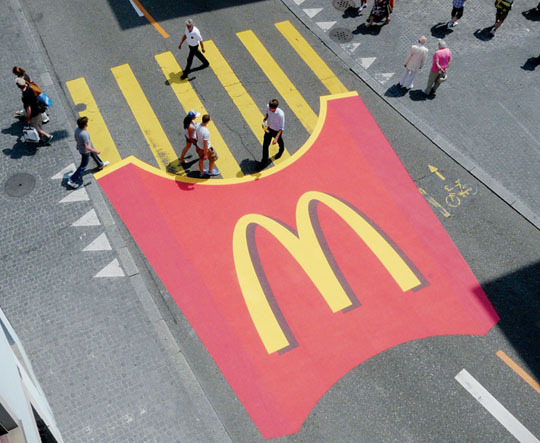 Advertising agency TBWA were the ones behind this creative crosswalk in Switzerland, turning into a box of McDonald’s fries. Makes you wonder why it took this long for an idea like this to come up, since there are yellow crosswalk’s all over the world.